As the way we use technology, computers and mobile devices evolves, so too does the networking infrastructure required to support it. The seamless transition between wireless, cellular and other types of networks is no small feat, yet many of us take it for granted every day while using our phones, tablets, laptops and portable hotspots. Wireless routers, which used to be the domain of coffee shops and the geekiest households, have become ubiquitous to the point where even our grandparents have one. In many homes and even some businesses, it's actually becoming rare to use a computer or device physically connected to any network. Ethernet cables are becoming extinct for all but the most bandwidth intensive systems. Times have changed, and computer network hardware has too. The year was 2008. The world had become entranced by a device called the iPhone just a year before, and consumers were just starting to embrace the mobile web. Tablets were clunky, Windows XP powered devices that had stylus-based interfaces and were a chore to use. Blackberry was still king of the smartphones. The cloud was still on the horizon, and broadband speeds were an unreliable affair. This is the world of just 4 years ago. A typical home computer network hardware setup consisted of a primary PC connected either directly to a broadband modem, or through a wired router. If the family had multiple computers, these would be connected through the router, or in more technologically literate households, through a wireless network. The primary method of accessing the web was through a desktop PC or a notebook. Gaming consoles began being wired to the network, and many devices were usually cluttered around the router, causing a tangled mess of wires and more than a few blown fuses. Most homes didn’t need more than a basic modem and 4 or 5-port router or 10/100MB switch, and category 5 or 5e ethernet cables. If a wireless router was used, typical setups included an 802.11g devices. At that time, more bandwidth than that simply wasn’t required for normal use, such as email, web browsing, or the occasional YouTube video. Netflix, Hulu, and other streaming services were taking off, but not yet to the extent they are today, and HD penetration was nowhere near current levels. A comparison between the types of internet connections, such as cable, DSL, and satellite, can be found in our guide to ISPs and Internet Technology. On the business side, desktop PCs also reigned king in most offices and were connected through a much more elaborate wired network. Switches, routers, and hubs packed utility closets out from which flowed highways and byways of ethernet cable. 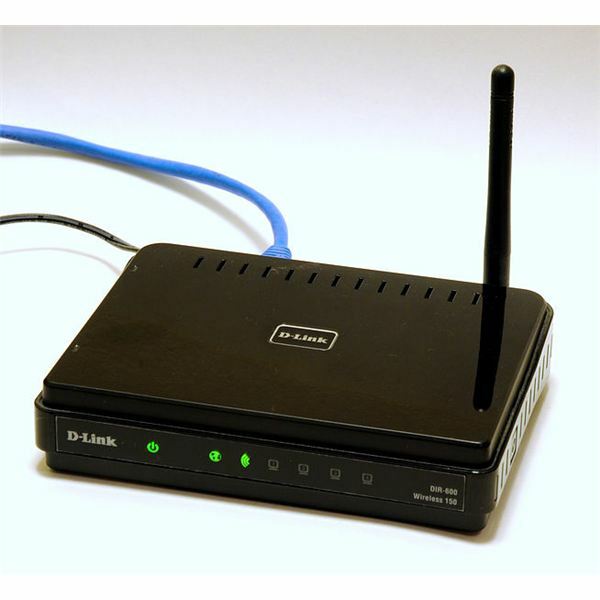 Many businesses also had wireless networking setups for the more mobile employees that connected through their notebook or synced emails and contacts with their Blackberry. Gigabit ethernet was common by this time in most mid to large companies, and connected servers and computers through category 6 or 7 cabling. The landscape has changed, not only in terms of the computer networking hardware used today, but also the types of networked devices, and the very ways we use the Internet itself. Consumption is increasingly the name of the game as Internet penetration reaches into every corner of the mainstream. The news we read, the music we listen to, the movies and television we watch, and the games we play, have all gone online. Our lives can now be safely saved in the cloud; spread across nameless servers an indeterminate distance away and accessible from anywhere at any time. And this requires bandwidth. This requires constant uptime. This requires a new dependence on networking hardware. Much of this was possible in some capacity before, but never to the extent it is today. Their numerous benefits, and ease of use, have driven the popularity of cloud-based services such as Dropbox, Amazon Cloud Storage, and Apple’s iCloud. Streaming video and online radio sites are more widely used than ever. A Wi-Fi network is commonplace today, coming off of a high-speed broadband connection, or even through a wireless ISP. A modem and router are still the hardware of choice to deliver access, though the latter is now almost always wireless. Devices using the 802.11n standard, which was introduced in 2009, are found with increasing regularity; the extra bandwidth often being used to stream High Definition video to not only computers, but also home theaters. Many families still have a wired desktop PC in the living room or bedroom, but more typically one or more laptops are used throughout the home. As far as Internet access goes, tablets are on the rise as the tool of choice for reading, web browsing and video streaming. Depending on the tablet, it can either use the home Wi-Fi network or a 3G or 4G connection. In the business world, the most bandwidth intensive connections are wired with category 6 cable or better and run at over gigabit speeds. More and more employees work from the field with mobile hotspots that use 3G and 4G connections. Tablets are becoming common for certain tasks, especially among executives, and iPhones and Android-based devices have replaced Blackberries as the smartphones of choice. 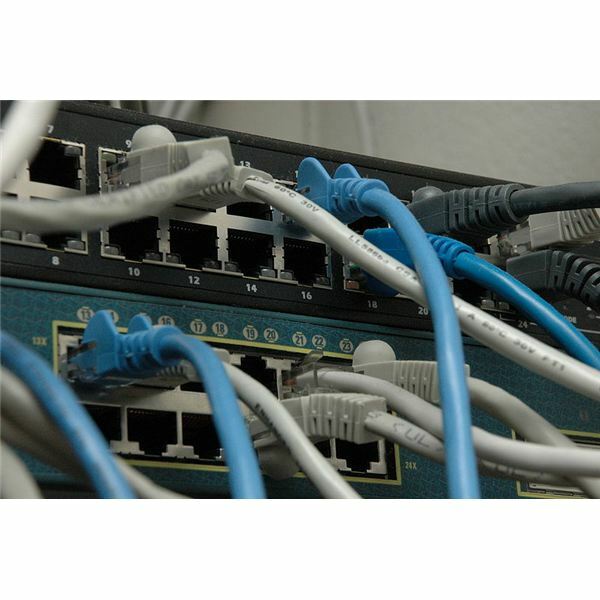 Utility closets filled with networking switches and ethernet cable are still common in any office building, and probably will be for years to come. But also common are wireless access points scattered throughout each floor, and the number of employees who need to physically plug into the network is steadily decreasing. Some companies are even switching to cloud-based applications, which stream entire programs over an internet connection and hearken back to the days of mainframe computing. With the massive amounts of bandwidth consumed in most offices, fiber optic connections, which have long formed the backbone of large-scale high-bandwidth national network infrastructure, are being employed in even the “last mile” of coverage, offering “fibre to the curb” levels of service in urban areas. The most obvious trend among networking hardware is the extinction of wired networks for all but the most bandwidth intensive applications. Very few tasks need the bandwidth provided by gigabit connections, and wireless speeds are catching up quickly enough, that even this won’t be an issue for long. For virtually anything else, Wi-Fi is plenty fast enough. Further in the future, even home Wi-Fi setups are likely to vanish in favor of a completely cellular or wireless ISP network. WiMax and 4G already cover many major cities, freeing users from the need for a personal Wi-Fi connection at all. The dominance of consumption oriented tablets and mobile devices is shifting the demand for bandwidth usage. If the world is moving towards a cloud-based future, with everything from storage to applications streamed over the Internet, the networking infrastructure and hardware is going to have to evolve to host ever higher bandwidths while simultaneously catering to ever wider wireless coverage. We may very likely see a day where homes and businesses don’t have dedicated network hardware, and every PC, server, and device is connected straight to their ISP by wireless connection. It’s hardly unprecedented; even the slowest cell phone networks are comparable to the average household internet speeds of only a decade ago. Coverage is going to keep expanding to the point where there will be virtually no “dead zones” and even the furthest reaches of the country will have access to high-speed internet over a network they never even see. For the past few decades, the solution to forward-looking computer network hardware was simple: faster switches and beefier cabling. Only relatively recently, with the rise of wireless and mobile networks, have things begun to change. For the short-term, a mix of wired and wireless hardware and devices will have to coexist at home and at work. Technology will inevitably progress, however, to be freer of the constraints and hassles of physical connections. It may be that wired connections don’t ever completely disappear, but they will almost certainly become the domain of only the most bandwidth-intensive networks, such as university campuses, government agencies, and large companies, as well as the backbone of major internet infrastructure. It’s unlikely that future generations will ever have to plug their computers or devices into a local or home network. The very concept of a personal network as we know it may fade away, with all of the disturbing privacy implications one cares to attach to that. We are in the midst of a paradigm shift in both the way we use technology and the way we connect to the internet. Times are changing, and our networks are changing too. The switch from wired to universal wireless coverage is the next evolution in computing, and a step much larger than the boost from dial-up to broadband ever was. Once wires are eliminated, we’ll find even more interesting ways to use our ever-connected devices in a globally networked world.